We're Here To Take Away Your Logistics Worries, so You Can Focus on Making Your Business GREAT. Making the transition from shipping freight via truckload to intermodal can be difficult if you don't fully understand some basic differences between the two freight modes. Weight is the most common issue for new intermodal users, which is often driven by the misconception intermodal transportation is just like truckload. Intermodal is very similar to truckload, but we like to say it is truckload-like, not exactly like truckload. 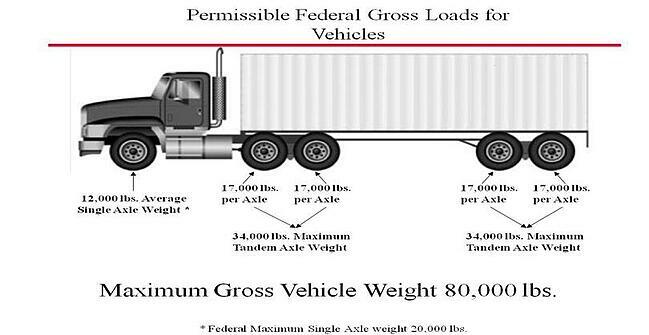 The Federal Gross Vehicle Weight Limit of 80,000 lbs. for tractor/chassis/container is the same for both intermodal and truckload. The difference lies in the 53’ container-on-flat-car (COFC) domestic intermodal container which is roughly 2,500 lbs. heavier than a standard dry van. 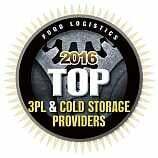 This translates into the recommended maximum bill of lading weight at 42,500 lbs. for an intermodal load versus the 45,000 lbs. 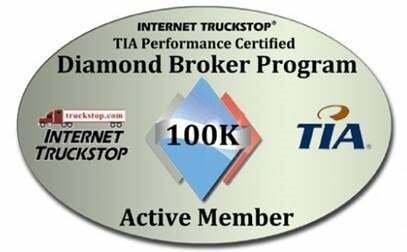 shippers are accustomed to for a truckload shipment. Since intermodal is truckload-like, there are preparations with intermodal shipping that must be made to ensure a safe, damage-free move. Unlike truckload shipments, intermodal loads experience harmonic vibrations that can move the load vertically, longitudinally, and laterally. The vibration is not intense, but it is consistent. Once the intermodal container is loaded on the train and the train begins to move, the harmonic vibration will begin to move unsecured freight to any open space in the container. The preventative measure you should take against harmonic vibrations on an intermodal load is proper blocking and bracing. Often times, shippers believe that the resources needed will offset the transportation savings or that blocking and bracing is just “too hard.” However, remember that your main goal is to restrain the movement of freight to open free spaces within the intermodal container. In many cases, blocking and bracing is nothing more than securing a couple of 2 x 4s with 16d nails to the floor of the intermodal container or staggering the load differently inside the container. Learn more about harmonic vibrations, blocking-and-bracing and the costs associated with reworking a shipment in our ebook: Understanding Intermodal Weight & Damage Prevention. If interested in learning more about intermodal, a couple of blogs we would recommend reading to gain additional insight about intermodal is The Cost of Intermodal Transportation Services (Rates, Fees & Variables) and 11 Differences Between Intermodal and Truckload Every Shipper Should Know. Schedule a free consultation with a member of our team to find a solution that meets your needs. Shippers of all sizes can advance their supply chain through InTek's customized managed logistics solutions that delivers a competitive advantage. Intek has the flexibility to design an outsourced managed TM solution that will fit your specific requirements within almost any budget allowing you to focus your resources on what you do best. As a certified MercuryGate (MG) reseller, InTek helps those shippers looking to upgrade their transportation management software (TMS) to the MG cloud-based system or those wanting to optimize their current MG TMS platform; implement new functionality; integrate & test; or train its users. Either way InTek has a solution for you. InTek leverages its 35,000 asset carrier base and direct relationships with the Class I railroads to help shippers access truckload, intermodal, LTL, expedited and rail boxcar capacity at competitive prices. By combining domestic capacity solutions with InTek's other services allows shippers to bring all their logistics needs under one roof. InTek handles freight moving cross-border between US, Canada and Mexico, along with international ocean and air services, which makes for a one-stop call for any shipper needing domestic and international capacity options.